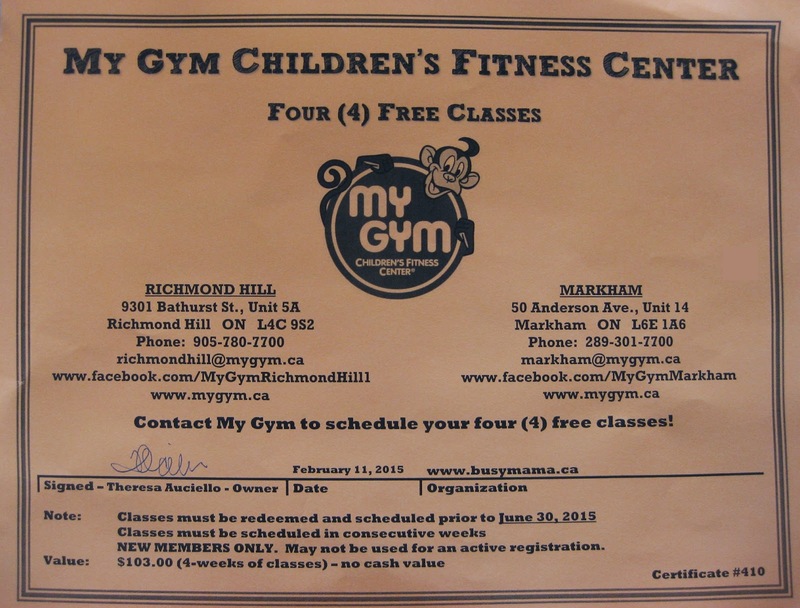 Win FOUR (4) FREE CLASSES to My Gym Children's Fitness Center - $103 value!!! 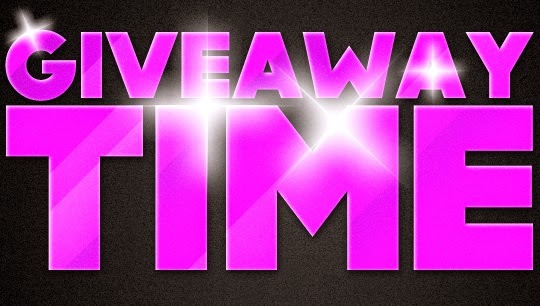 That's right Readers, it's time for some freebies!!! 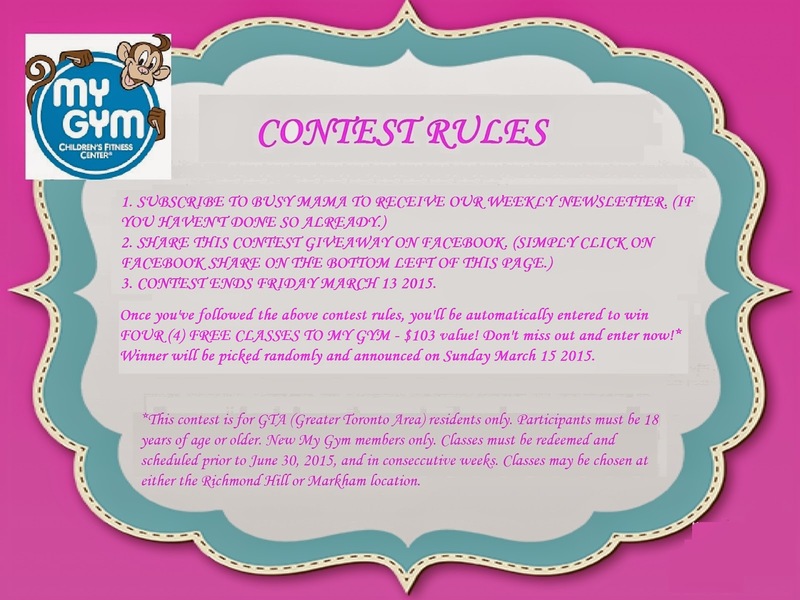 Don't miss out on a chance to win FOUR (4) FREE CLASSES to My Gym Children's Fitness Center! This is a $103 value!!! I recently wrote a review about this fantastic and magical place for kids to enjoy, have fun and get all their energy out in a safe and educational environment. Check out my story at http://www.busymama.ca/2015/02/at-my-gym-we-are-terrific.html! THE LUCKY WINNER WILL RECEIVE THIS GIFT CERTIFICATE! Disclaimer: This contest is the courtesy of My Gym Children's Fitness Center. It is ran by Busy Mama, and coordinated by Stella V.